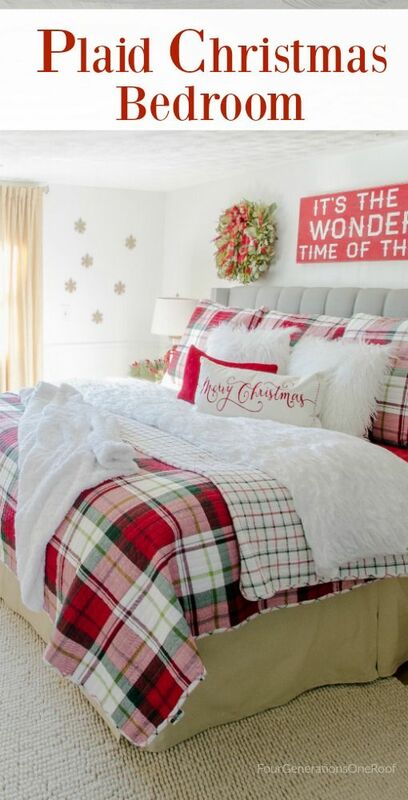 For a long time, I’ve been pinning Christmas themed bedding and bedrooms. 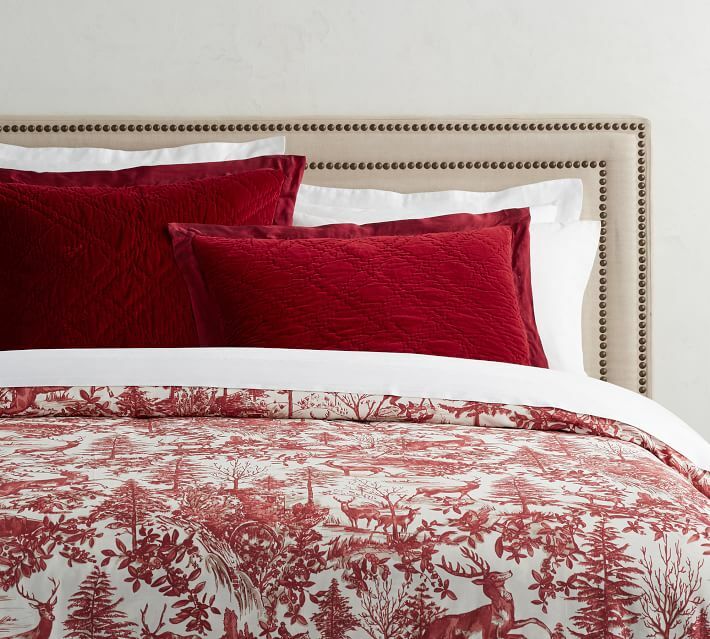 While I have “Christmasfied” my bedrooms before with trees, I never wanted to pull the trigger and buy bedding because I kept thinking it would only be used for such a short period of time. After much internal debate, I decided this year was going to be the year I just went ahead and bought it. 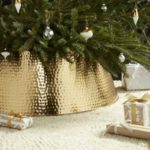 I am saving the reveal of my Christmas bedroom for a blogger home tour I am going to be participating in later this month, but I thought you might enjoy walking through my process with me. For reference, here’s a couple of my inspiration photos from Pinterest. If you want to see more of my faves, check out my Christmas board here. As I’ve said, I have been mulling over having a Christmas bedroom for quite some time. 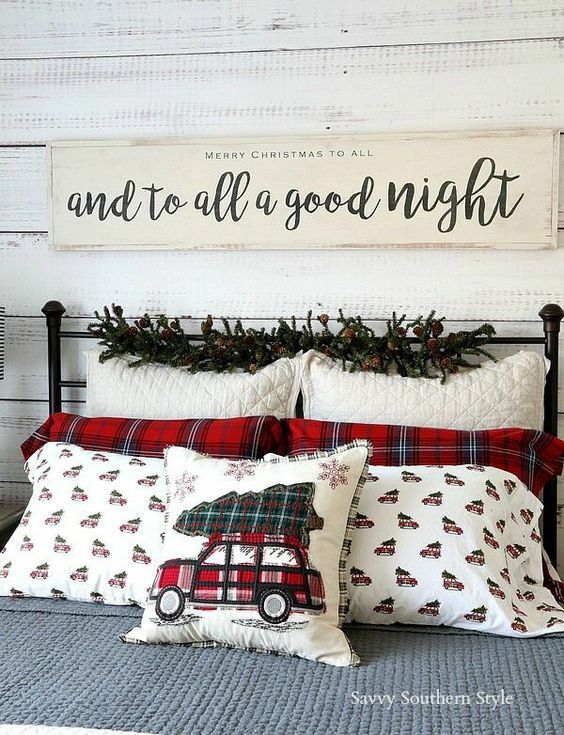 I initially thought I would just buy a neutral bedding set, throw some Christmas pillows on it, put a tree up and call it a day (similar to the first photo above). The more I thought about it though, and frankly, the more pins I looked at, I decided to just go all in and buy Christmas themed bedding (see pic two for some of my inspiration). It is definitely something that could be considered a splurge and if I hadn’t found a pretty great deal on the set I eventually bought, I may have waited another year. I can tell you that now that I have it on the bed, I love it! I don’t even have all the accessories in place yet and it makes me so happy. I can’t wait for the final version! Definitely something I am going to love for years to come! Ok, so enough on my reasoning, let’s get down to the contenders! While there are some amazing quilt choices out there, I have a dog that likes to dig and also sleeps in our bed. What he has done to our HomeGoods quilt this summer is not cute and I wasn’t risking that with a several hundred dollar seasonal version. Our dog has not been able to destroy our duvet covers, so I knew going in that a duvet cover was going to be my first choice. I had long admired Pottery Barn’s Christmas bedding selections. 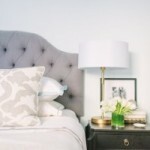 They are very classic offerings and Pottery Barn bedding quality has always been amazing for me (our everyday duvet covers are from Pottery Barn). 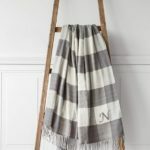 You already know my deep love for plaid and buffalo check, so the two above were definitely on my list. I also loved some of the more understated offerings too, like this red alpine scene. 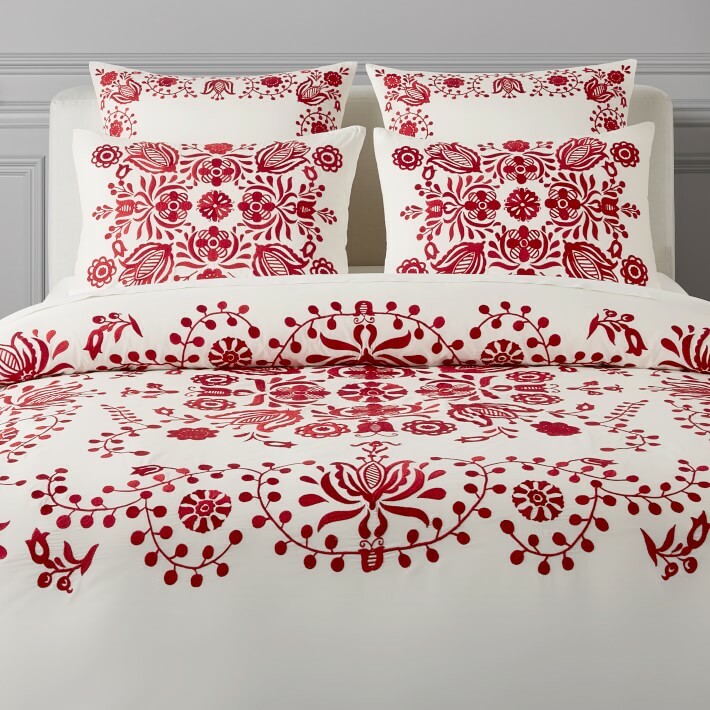 These three are from Pottery Barn and go up to a King, but if you are outfitting a smaller size bed (Queen or smaller) you might want to check out Pottery Barn Kids holiday bedding selection, in some cases it was cheaper and some of the offerings I liked better. Didn’t work out for me, but a tip I thought I would share! 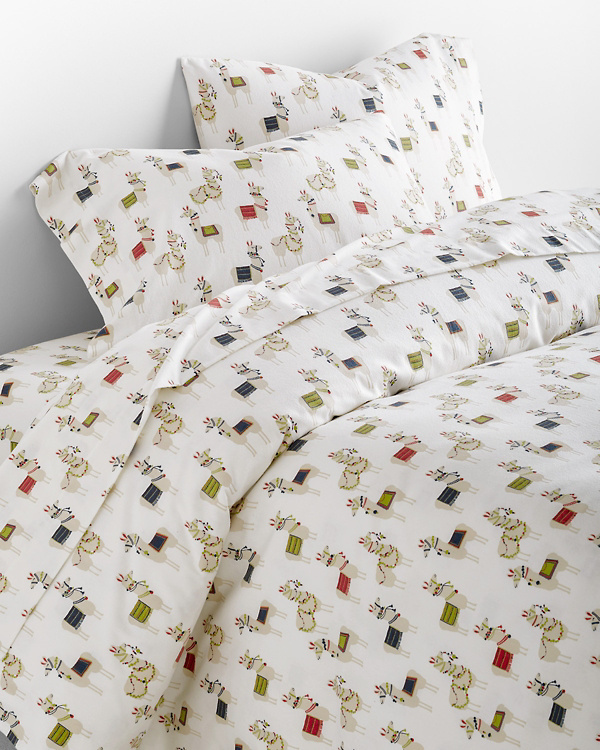 Speaking of more understated choices, Garnet Hill had a couple really cute whimsical offerings for holiday bedding. My fave was this Winterberry set. I also loved this Holiday Llama bedding from Garnet Hill, but ultimately was looking for something less whimsical and more classic. Is it just me or are Llamas everywhere this Christmas? I definitely love me some llama, but I don’t want to be the crazy llama lady either!! Ok, moving on! 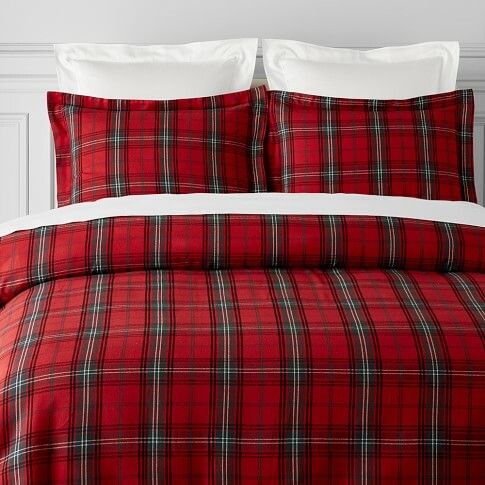 Williams Sonoma had a ton of classic tartan plaid offerings. I definitely had quite a few of these on my list. Their plaids are just gorgeous. Many, many others can be found here. 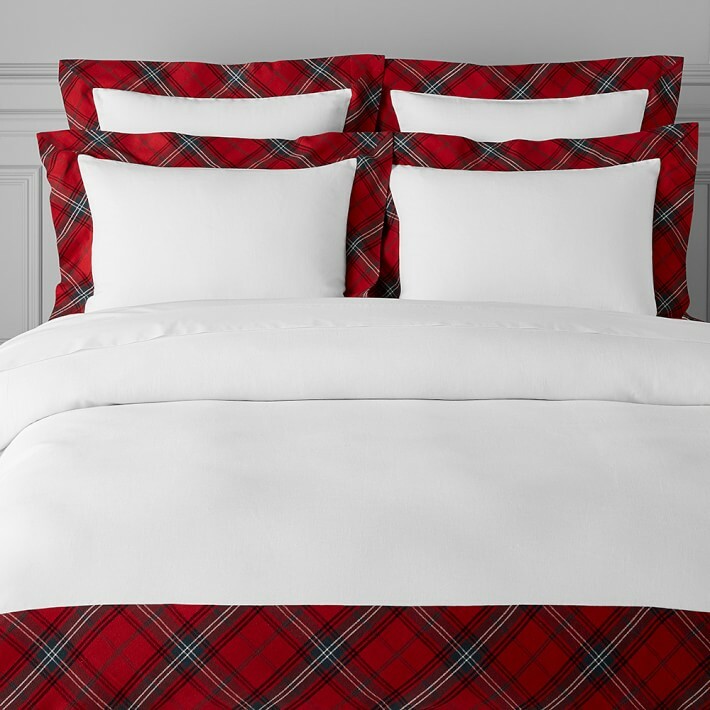 I absolutely loved this tartan trimmed bedding, but there’s no way I can do white with the dog. Bummer! It’s an amazing choice though, definitely something you could leave up for most of winter, well after Christmas, just by changing out your accessories. This red embroidered set is absolutely amazing and I would have loved to get this one, but the thought of what my dog would do to it would make me cry! So which one did I pick? You will have to wait until next week when I reveal it as part of my Christmas Home Tour with several other blogger friends. 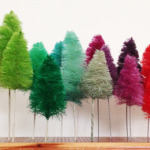 Lots of Christmas decor eye candy for you to check out! Do you have decorate your bedrooms for Christmas? I’d love to see them in the comments below! Cute bedding selections I love them all, I have really been into plaid this year so you know which one appealed to me. Thanks for checking them out! I sooo love plaid too!